If you want your house to smell like a Domestic Palace this is what you need to bake. I had four small banana's looking soft, black and unhappy in the bowl so there is one obvious place these darkened darlings needed to head and that was my loaf tin! Put the sultanas and Whiskey in a smallish saucepan and bring to the boil. Remove from the heat and allow to cool and soak up all that lovely Whiskey. Preheat the oven to 330/170. Put the flour, baking powder, bicarb and salt in a bowl and mix. Melt the butter and sugar together in a small pan over a gentle heat and allow to cool. Mix the mashed bananas, eggs, vanilla and steeped fruit (with all of the remaining whiskey, of course) together then add the cooled butter and sugar. Add the flour mixture, a third at a time, stirring well after each bit. Scrape into a greased and lined loaf tin and bake in the middle of the oven for 1-11/4 hours. When it's ready, a skewer should come out clean when poked into the centre of this amazing smelling loaf. Leave in the tin on a rack to cool. This is my own adaptation of Nigella Lawson's Banana Bread taken from How to Be A Domestic Goddess. Harry ate 3 slices the day it was made, demended one slice be put in his lunch the day after and got home from school only to walk in and ask if there was any banana bread left? Sounds like the perfect recipe for Michael and definitely one to try! 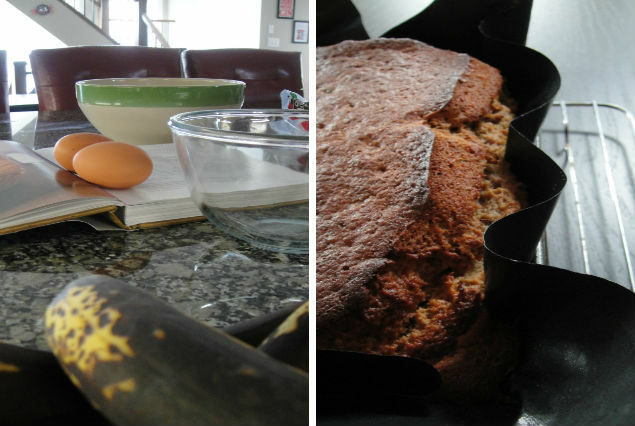 LOVE banana bread and yours looks just delicious! According to my son, "Best Banana Bread Ever". He can be quite dramatic though! It did tatse yummy, thank you.